Samsung Galaxy S5: The Fingerprint Is Confirmed! The Mobile World Congress is fast approaching. Within a week start on MWC 2014 in Barcelona (from 24 to 27 February 2014.) One of the most anticipated smartphones of this event remains the Samsung Galaxy S5. Many rumors have surfaced regarding recent weeks. Among them, the presence of a fingerprint reader has fueled debate. Our colleagues from SamMobile come to confirm this information. While you will be unveiled specifications of two variants of the Galaxy S5 according to AnTuTu benchmarks, information about the fingerprint reader, innovation expected by many users, have just been published. Like that you can find on the iPhone 5s, the Samsung Galaxy S5 present with this technology. The fingerprint reader is coupled to the “home” button. 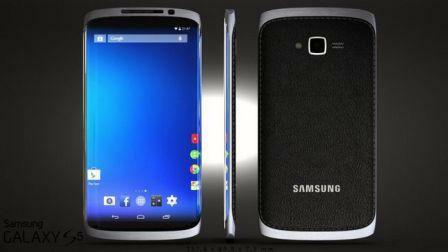 SamMobile confirms the presence of a fingerprint reader for Samsung Galaxy S5! To make it work, you need to drag your finger from the bottom of the smartphone up to it, via the Home button to confirm your footprint. You will also need to put your finger straight and avoid too excessive or too low speed. SamMobile not stop there as it indicates that this technology will also be used for other features and applications. It will then be possible to record eight different footprints similar to those tasks. Samsung will offer also a private file where you can incorporate you want to keep you content. However SamMobile explains that Samsung will not use this fingerprint in the same way as its competitors player. Although this technology is reminiscent of the iPhone 5s, Samsung should therefore present a new use of the fingerprint reader at the Samsung Unpacked 5, an event dedicated to the presentation of its new products. Finally, SamMobile announced that the Galaxy S5 should keep physical buttons without specifying the resolution of the screen. If SamMobile is generally very well informed, this information is unofficial until the official announcement of Samsung. Tell us what you think about the Samsung forum. Are you interested in this technology?